The estancia is as much of a way of Argentine life as mate, tango, and soccer. The word literally translates to ranch in English, but much like modern American ranches, the estancia is much more at heart than a place to raise cattle. Estancias today vary from classic, working ranches to luxurious city getaways. Usually located in the Pampas or plains, region of the country, they can cover up to 200,000 hectares of land. There are many estancias within driving distance of the Buenos Aires, and many visitors make a short trek to the countryside to get a taste of Argentina’s cowboy past and present and enjoy a traditional Argentine asado. 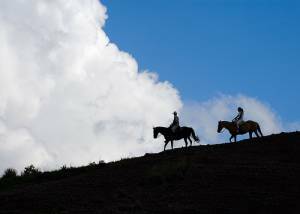 The modern estancia provides visitors with a quiet atmosphere, horseback riding, swimming, fishing and both traditional criollo cuisine. Here’s a list of a few great estancias in Buenos Aires Province you may want to check out on your trip. Haras la Viviana overlooks the Laguna Los Altos wildlife sanctuary and ecological refuge and provides guests with a stunning natural surrounding. Activities include horseback riding, boating, kayaking, sailing, and fishing, as well as wildlife tours and bird-watching for those who want a closer look at nature. They can accommodate up to 20 guests at a time. English and Spanish are spoken. El Retiro estancia is a bit farther-570 kilometers-from the capital than others on this list, but worth the trip nonetheless. Built in 1904, the 3-story ranch house is surrounded by a 70-hectare lawn, swimming pool, and golf course. There are eight guest rooms available to book. English and Spanish are spoken. El Ombu is one of the more tranquil estancias in the province, offering botany and billiards over swimming and soccer. The Late-Colonial ranch house was built in 1880, and was owned by world-renowned botanist Enrique Boelcke until his death in 1992. El Ombu has now been fully restored, and is a great place for a quiet weekend getaway or even a day trip. There are nine guest rooms available to book. Spanish and English are spoken. Known as one of the larger estancias in Provencia de Buenos Aires, El Vinten lies on a 25-meter-high cliff, overlooking 40,000 hectares of wild islands that border the Parana River. Activities include horseback riding, swimming, fishing, and nautical sports. Three guest rooms are available to book. English, Spanish, German, French, Italian, and Portuguese are spoken. This Spanish and Creole-influenced estancia was originally built in 1830. It was later renovated and re-constructed entirely from Eurpean materials shipped specifically for its construction in 1924. 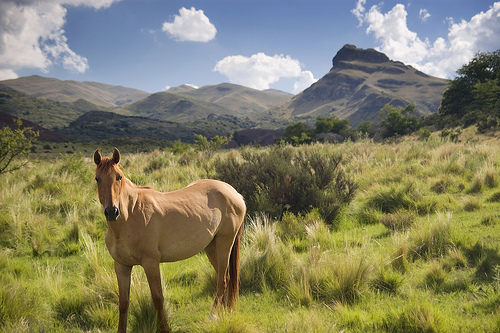 The ranch covers more than 1,600 hectares of land. Activities include Golf, swimming, soccer, horseback riding, donkey riding, and boating. There are 13 suite-style rooms available to book. English and Spanish are spoken. Nestled under the mountains in the countryside, La Estrella offers some of the best luxury amenities available to the estancia guest. The highlight is their spa and health club, which offers a gym, sauna, massage room, and Turkish bath. The 150-hectare ranch is also home to many wild animals, including llamas, antelope, and red deer. Eight guest rooms are available to book. English, Spanish, Italian, and French are spoken. This estancia was built in 1900, and boasts the quaint design and conveniences of a typical country home. There are nature trails to hike, a swimming pool, and a large indoor fireplace which overlooks the garden, in case you feel like cozying up indoors. Seven guest rooms are available to book. English, Spanish, and Italian are spoken. This page rendered in 0.901 seconds.